Ruben LeRoy Runningen passed away peacefully, surrounded by his loving family on April 3, 2019 at the Minnesota Veterans Home in Fergus Falls, under the care of hospice at the age of 88 (although he liked to argue with Vicki that he was 90). 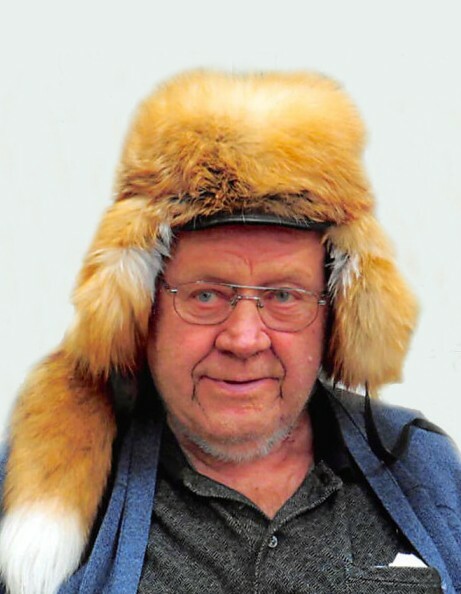 Ruben was born a twin on November 30, 1930 to Roy and Sarah (Lystrom) Runningen in rural Ashby, MN and was baptized a lifelong member at Grue Lutheran Church. He grew up there, loving the outdoors, in a family of fur traders. Ruben’s father, grandfather, and great-grandfather were all in the fur business. He attended a country school in rural Ashby. Ruben served in the Korean War from December 1948 to December 1949. He was recalled and served from September 1950 to November 1951. Ruben was honorably discharged from the Army and awarded the Combat Infantry Badge, 2 Purple Heart medals, the Korean Service medal, and 1 bronze Camp Star. After he returned from the service, Ruben married Delores Schmidt on June 7, 1953. Together they had four children. Ruben worked at Mid-America Dairy until he retired. In addition to working at Mid-America Dairy, he carried on the family business, Runningen Furs, which was his true passion. After Delores passed away in 2004, Ruben married again in 2006 to Muriel who passed away in 2015. He was also proceeded in death by his parents, Roy and Sarah and daughter Mary Truesdell. Ruben was an active member of the Ashby American Legion where he was the Commander from 2002 – 2003. He enjoyed marching in parades with the Color Guard and volunteering on Bingo nights at the Legion. He proudly carried on his duties at the Veterans Home and was a member of the Army Color Guard. He was also a member of the VFW, and the DAV. He loved to play golf, hunt, dance, and visit the casino with his family and his friends at the Veteran’s Home. Ruben is survived by children: Larry (Jane) Runningen of Ashby, MN, Jerry (Dale) Runningen of Upton, KY, and Vicki (Denny) Dorn of Leaf Mountain Township, MN; grandchildren: Lisa Runningen, Joe Runningen, Gage Runningen, Ruben Runningen, Troy Howard, Byron (Beth) Dorn, and Sarah (Ben) Glocke. He was also blessed to have several great-grandchildren and great-great grandchildren. He is also survived by his siblings: Richard Runningen of Evansville, MN and Judy Evavold, Garfield, MN.